This entry was posted in DigiLitSundays, Digiwrimo, Innovator Mindset MOOC. Bookmark the permalink. Wow…so much to take in here. 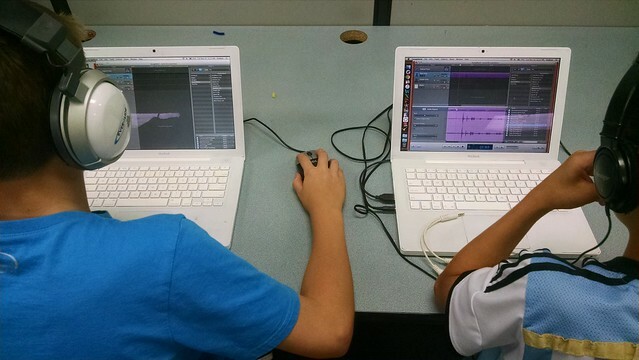 I love what your kids were able to do with voice and Garage band. Talk about making he writing experience fun! There is so much power in having students use Voice Typing in google. I love that Katherine Bomer said yesterday that voice can’t be contrived practice but really comes from more writing. When do students know that is truly is “their voice”? I remember introducing voice recording via Google Docs as a means of ‘writing’ to me intervention class. It spread like wildfire, they sold it to themselves. I wonder in regards to listening back to a text whether you could also make use of apps which read texts back to you. I often listen to blog posts, but have sometimes used the same method to support drafting (http://readwriterespond.com/?p=1763). What a brilliant idea! I think I’ll try it. I’ll let you know how it goes. Thanks Kevin. I wish my two kids had been in your classroom when they were that age. I keep sharing your articles because my wish needs to be a reality for kids in classrooms across the world.